Pakistani Lawmaker Denies China Talking to Separatists in Baluchistan - Integration Through Media ....! 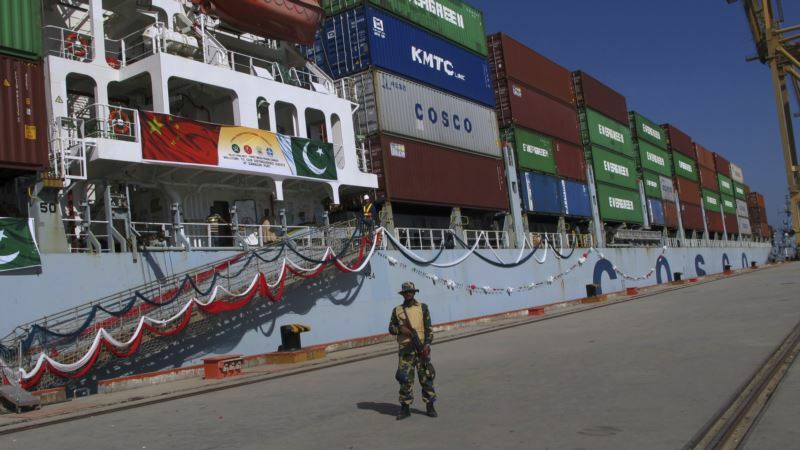 (VOA): There are no talks between China and the separatists from Pakistan's Baluchistan province regarding the protection of the China-Pakistan Economic Corridor (CPEC), a senator from the province told VOA. First reported by The Financial Times, several newspapers in Pakistan said that China has been quietly holding talks with Baluch (natives of Baluchistan) militants for more than five years in an effort to protect the $60 billion worth of infrastructure projects it is financing. CPEC is a Chinese-funded project. Upon completion, this 3,000-km-long project will connect China with Pakistan through rail, road pipelines and an optical cable fiber network. Through CPEC, China will gain access to the Arabian Sea. Pakistan's Baluchistan province is at the heart of the CPEC because the project stretches between China’s Xinjiang region and Pakistan’s Gawadar port, which is located in the Baluchistan province. Baluchistan is the poorest and least-developed province in Pakistan, and it has been the scene of a low-level insurgency by Baluch separatist groups that demand a greater share of the province’s resources. There are fears in the country that in an attempt to push for their demands, these separatist groups can target the CPEC project. Some media reports suggest the Chinese government is holding talks with them for the protection of the project. But Mir Kabir Muhammad Shahi, a member of the Pakistan senate, said it’s not China’s job to hold talks with Baluch separatists. “I, or other parliamentarians, are not aware of this development, and it’s only Pakistan’s government parliament right to hold talks with Baluch separatists,” he said. Sher Muhammad Bugti, a representative of the Baluch Republican Party separatist group, also denied having any negotiations with China. Talking to VOA Deewa from his exile in Switzerland, Bugti said separatists cannot hold talks with China. “We do not know of any talks, nor have we been contacted (by China),” he said. Groups such as the Baluch Republican Party are against the CPEC, and say the project is aimed at plundering the resources and grabbing the land of their province. But the Pakistani government says CPEC is a game changer in the region, and it will bring prosperity to the whole country. Political analyst Zafar Jaspal did not rule out the possibility of China’s involvement with locals, but added that it could not be direct. The Financial Times claimed that the Pakistani officials welcomed the talks between Baluch rebels and Chinese envoys, even if they do not know the details of what has been discussed. “Ultimately, if there’s peace in Baluchistan, that will benefit both of us,” said one official in Islamabad. VOA Deewa's Aurangzeb Khan contributed to this report.